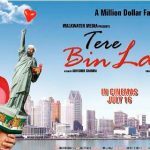 Bollywood is full of love stories, and Rekha and Amitabh’s is another favourite one. 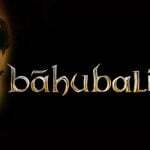 It is the most talked affair till date in the Bollywood. It was the secretive relationship as both of them never accepted anything about it in public. They have never said a word about their relationship in public, but everyone has got to hear many a thing about them. It is said and considered that Rekha put up Sindoor for Amitabh and yes, we are quite certain about their hidden relationship. Well isn’t it something to ponder upon? How did the two legends Rekha and Amitabh of our film industry fell into this? So here is the unfolded and secret love story of the two Bollywood legends Rekha and Amitabh. 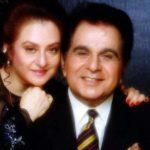 Their love story started on the sets of Bollywood film “Do Anjaane” in the year 1976. Amitabh was a married man by then. They had a secret relationship, and in the initial days of their relationship, they used to spend time and meet in a Bungalow that belonged to Rekha’s friend. It is said that the relationship was so secret that no one knew about it until an incident that changed things for both of them. 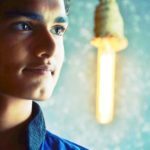 The incident was that during the shoot of “Ganga Ki Saugandh” in the year 1978, Amitabh lost his temper on a co-actor who was misbehaving with Rekha. After this act of Amitabh, the affair of him with Rekha came into limelight and was successfully captured by media. Though they denied their affair, the things and the incidents were far too loud to tell everyone that they were dating each other. Also, in one of the interviews the director of the Movie Silsila, Yash Chopra confirmed their relationship. The gossip started like a fire in the forest. Many headlines were made exposing Amitabh and Rekha’s hidden relationship. Also, the gossip was in the air that they both have got married secretly. 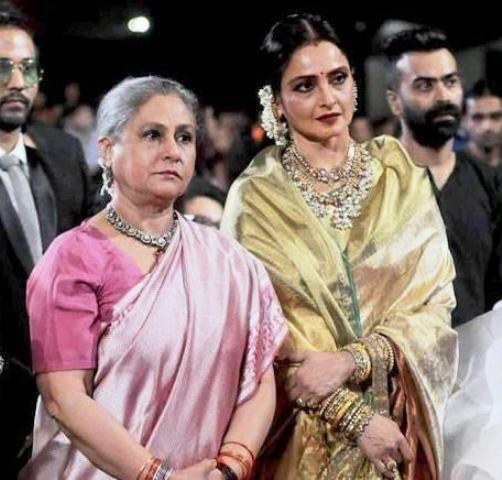 What Rekha did at Rishi Kapoor and Neetu Singh’s wedding was shocking. She was there at the wedding with Sindoor on her head and also a Mangalsutra in her neck. People started with the gossips when they saw this act of Rekha. The whole attention at the wedding shifted towards her that she has tied a knot, the whisper was in the air. Not only this but Rekha also moved towards Amitabh raising her eyebrows in the wedding and was talking to him throughout the wedding comfortably. Jaya was also present at the moment, she waited for Rekha to move away from her husband but after a long time when she did not, she just bent her head down to let her tears roll down in silence. After a few minutes of conversation, Rekha did leave the wedding venue answering many of the questions raised on Amitabh and Rekha’s hidden relationship. When did Jaya get to know about the affair? 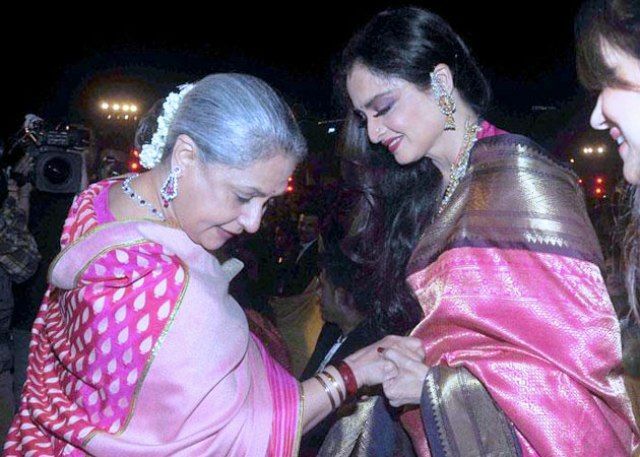 After what happened at the wedding Jaya invited Rekha to her place over lunch where they two had a real conversation. Jaya there at lunch said and warned Rekha about leaving her husband and that no matter what she is not going to leave her husband. Rekha later realized that she either should be Mrs Bachhan or stay single. 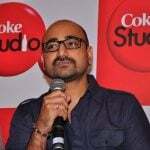 Did Amitabh ever accept the relationship? While in an interview when it was asked from Rekha if Amitabh ever accepted their relationship or she never wanted him to say anything to the public. She even said that he denies their relationship as he is an old school and has the responsibility of his wife and his children. Rekha said that she has no problem of Amitabh not accepting the relationship in public. She even raised a question that what is the need of his acceptance in public when we both know what we are for each other? She also concluded that whatever Mr Bachhan is doing is correct as he wants to hurt no one and just cannot hurt his wife. Amitabh well never accepted his love for Rekha in public. On the other hand, Rekha has always shown and accepted her love towards Amitabh. Silsila was the last movie the couple had together. The downfall of the affair! After the shoot of “Silsila”, the couple started to drift apart, and thus the relationship faded. 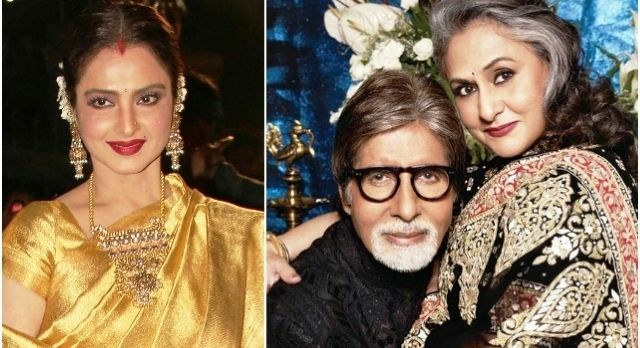 Yes, Rekha wanted to marry Amitabh, but Amitabh didn’t want to as big Big B didn’t want to settle with the tag of ‘other women.’ Later when Rekha realized that she holds no future with Amitabh and that Amitabh is in no mood to leave his wife and family, the passionate love story came to an end. The love story ended both on screen and off screen. Rekha put up Sindoor for Big B? 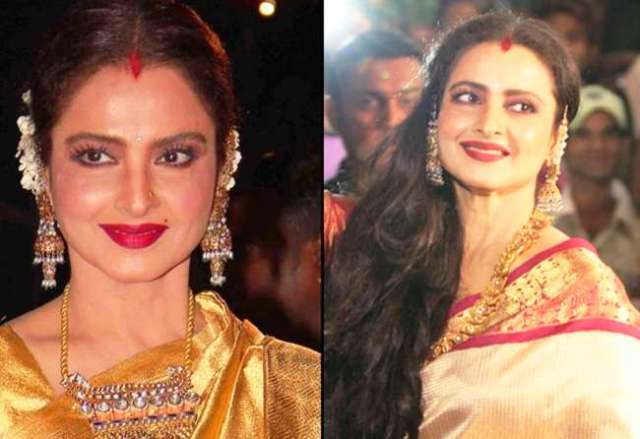 Rekha since two decades is seen wearing Sindoor on her forehead though she never said to whom she puts up the Sindoor? In different interviews, she has answered this question differently. In an interview, she said that the place she comes from is known to put Sindoor and thus she wears it, and in the other, she said that she puts up Sindoor as she feels it looks good on her. Well, this question never has a satisfactory answer, and thus we leave it here by just saying that putting up Sindoor is another style statement that Rekha holds.